I needed to reduce the burden on the server by migrating the attachments into some other location to store them safely. Took the assistance of Kernel for Attachment Management software that delivered the satisfactory results. I really liked the functions of the software. Great tool!. The tool provided the mind blowing solution for me when I was in the urgent need of securing the important email attachments of our organization. The trial version of the software assisted me to analyze the capabilities of the software. I am truly satisfied with the recovery of email attachments. The software really helped me in retrieving the email attachments from the email application. 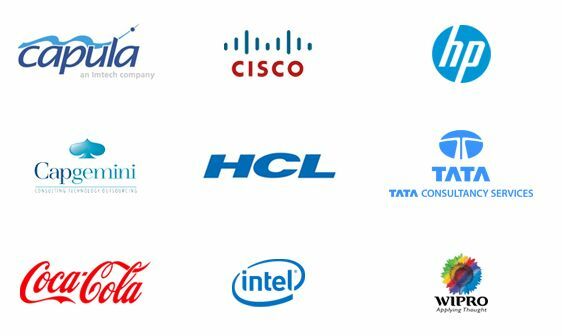 I was able to extract all the email data items following various criteria and requirements that are excellently configured in the software. Thanks for the remarkable software. 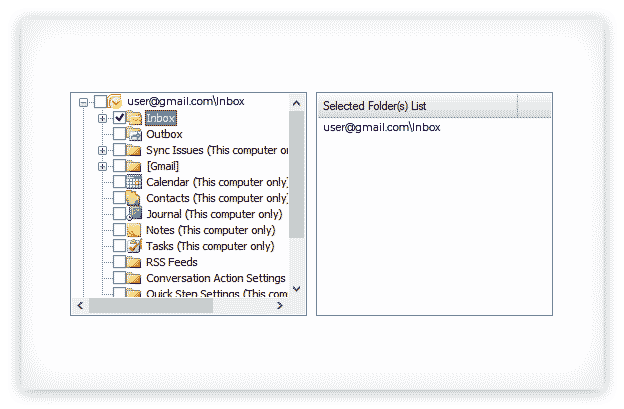 The software has many useful features including the activities like deleting the attachment from the email and save it in various physical or network locations. You can create a link or a text description indicating the location of deleted attachment from an email. Its "Restore Attachment" option allows restoration of attachments at the previous location. It is also possible to modify the settings for compressing the Outlook PST email data items. The tool allows you to compress the attachments in zip format that drastically reduces the size and makes the zip file more shareable across the network. In addition to that, you can make zip files secure by applying the password on it. The tool allows you to rename the attachments according to the pre-configured variables like Message Sender Name, Received Date, Subject, Subject without RE or FW. You may also filter your email attachments based on the alternatives of message subject, the recipient only, the sender only, and the size of the email present in the MS Outlook email agent. 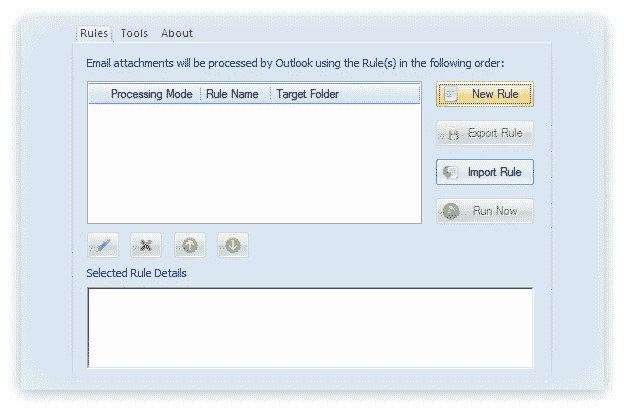 You could also configure various Outlook attachment rules and settings to retrieve the attachments in the user-friendly format. The “Enable automatic processing” option lets you invoke the automatic processing of incoming email. You could also reduce the overall complexity of the resultant attachments, by creating the subfolder hierarchy listing the various items like Message Folder Name, File Name, Message Date, Sender Name, Message Subject, etc. The software supports all versions of MS Outlook - MS Outlook 2019, 2016, 2013, 2010, 2007, 2003, 2002, 2000, 98 and 97. You can run the software and extract any attachment stored on whatsoever editions of MS Outlook. The software provides detailed info that which attachment is being processed at what time through these three types of log files – run now log, automatic mail process log and scheduled mail process log. Step.1In this “Kernel for Attachment Management” welcome window, you would require to click the “New Rule” button to configure a new rule. 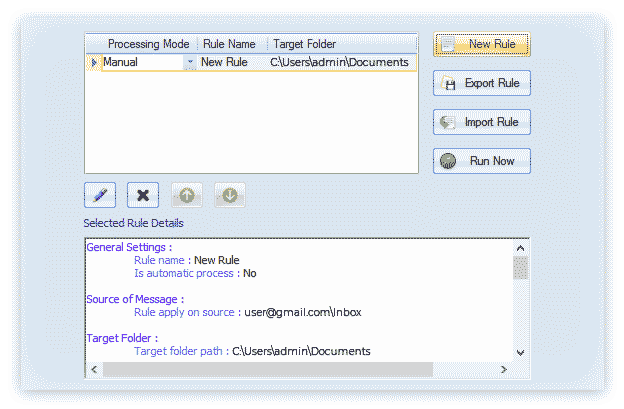 Step.2After configuring the rule, in the “New Rule Wizard” window, select the desired mail items to be considered for backup, apply configured filters and configure various options to perform desired action on the message. Step.3After configuring all the rules and settings, you can click the “Run Now” button for initializing the final procedure. 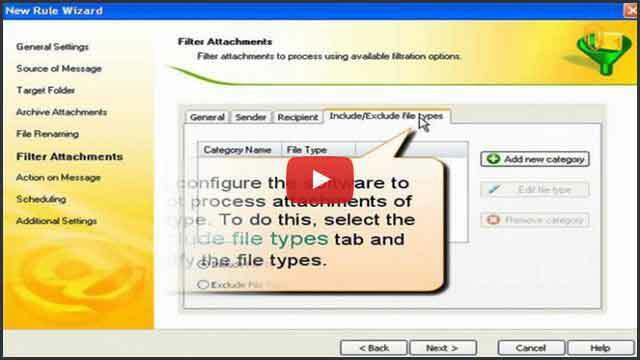 How to manage Outlook attachments using Attachment Management tool? The attachment Management tool can help you deal with Outlook attachments in distinct aspects. Open Kernel Attachment Management application. Before you do anything else, Create Rules to define how you want to manage attached files in Outlook emails. Once you’ve described the rules, edit a rule, apply the filter(s), modify other rule settings anytime you want. You now can Update link, trigger attachment Restore when lost or deleted, Compact attached file(s), and monitor Logs. Where would I save the processed attachments from Outlook application by using the Kernel for Attachment Management software? The tool has the required facility to save the email attachments on either the computer’s hard drive or any accessible network location. These two locations for saving the final attachments helps in transferring the files to another location without any hassles. Does the software proficiently manage the attachments from the latest version of MS Outlook? Yes, the Kernel software has been continuously updated to support latest MS Outlook versions released in the market from time to time. The software can easily extract attachments from the MS Outlook 2019, 2016, 2013, 2010, MS Outlook 2007, MS Outlook 2003, MS Outlook 2002, and MS Outlook 2000 email agents. After purchasing the Kernel for Attachment Management software, how would I ensure that my software has the latest version of updates? As the software is embedded with the Live Update feature, you should not be worried for the latest updates at all because the software automatically gets the latest patches of upgrades from the company’s server itself. So, you will have the latest version of the kernel utility throughout the lifetime. Does the Kernel for Attachment Management has the inbuilt facility to compress the email attachments? Yes, you can compress the email attachments by using the embedded feature that allows you to select various options like compress attachments in zip file, protect zip file with password, and add all attachments in a single file, etc. Nucleus Data Recovery launched Kernel for Attachment Management- complete solution to manage Outlook email atachments. Software is developed to help out Outlook users in dealing with PST files that are growing large due to bulky attachments. With the launch of Kernel for Attachment Management issues like PST corruption and slow and sluggish Outlook can be easily avoided and dealt. Software helps to manage attachments and reduce PST file size by freeing space occupied by bulky attachments. Recovers corrupt/damaged PST files and save to PST, MBOX, Office 365/Exchange Server. Split large-sized Outlook PST files into smaller parts to avoid corruption. Remove and manage Outlook duplicates items from Outlook PST files. If anyone here has issues with email attachments just like I did, then I would highly recommend you this exceptionally advanced software. It has a friendly user-interface which allows you to understand and operate it even if you are new to the technological environment.